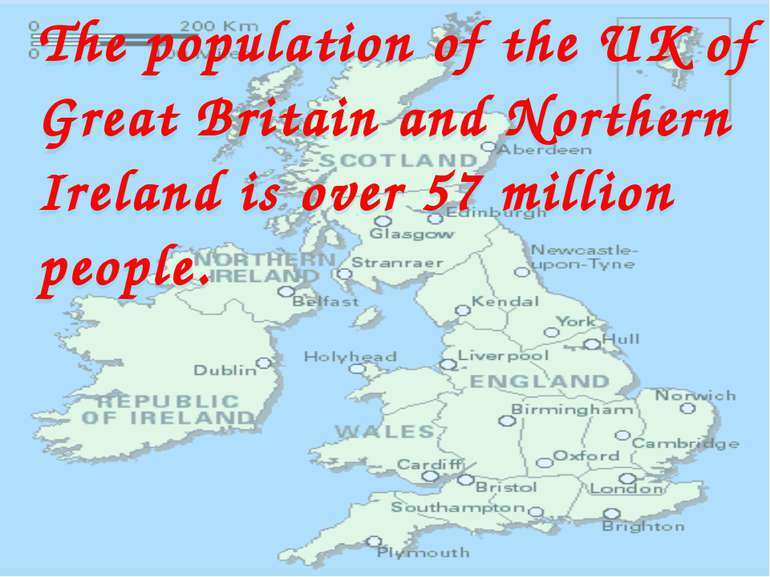 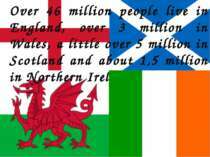 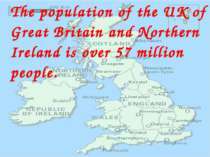 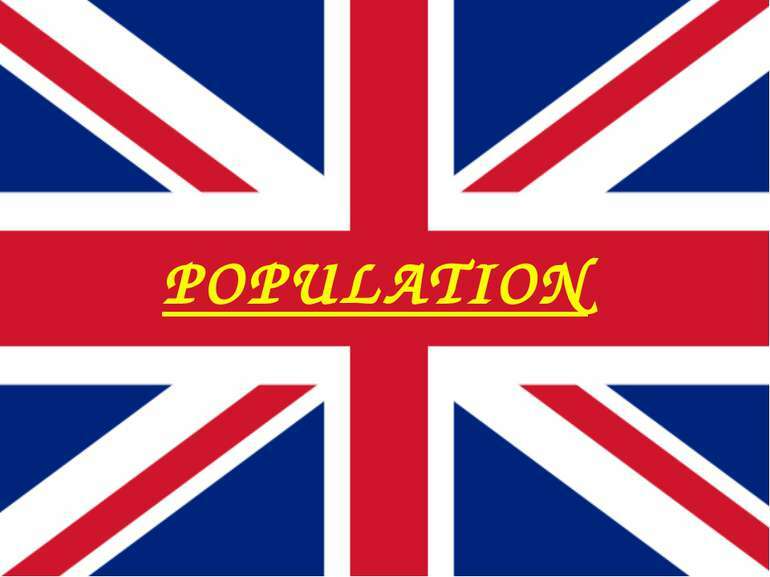 The population of the UK of Great Britain and Northern Ireland is over 57 million people. 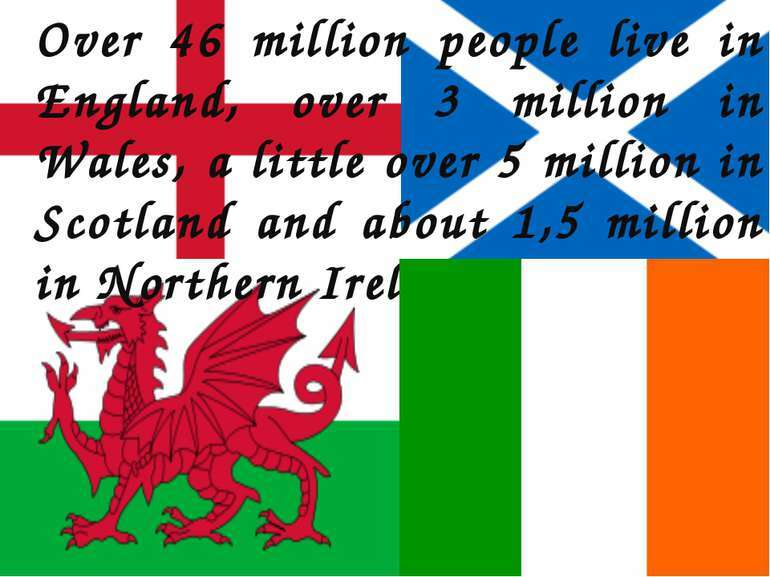 Over 46 million people live in England, over 3 million in Wales, a little over 5 million in Scotland and about 1,5 million in Northern Ireland. 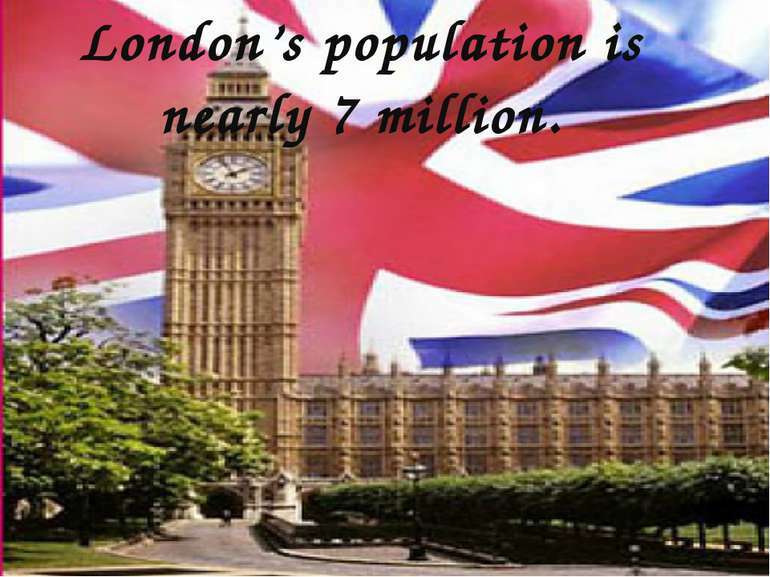 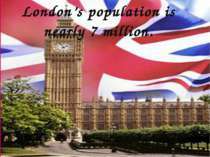 London’s population is nearly 7 million. 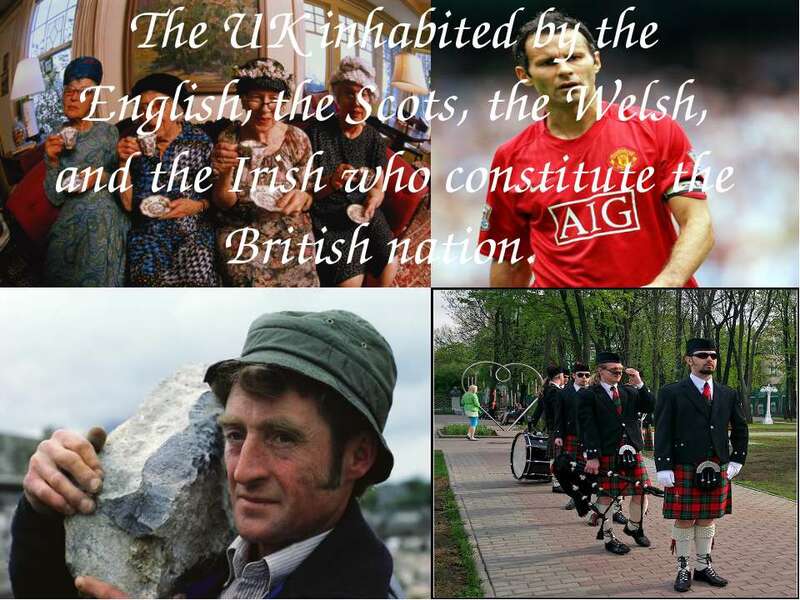 The UK inhabited by the English, the Scots, the Welsh, and the Irish who constitute the British nation. 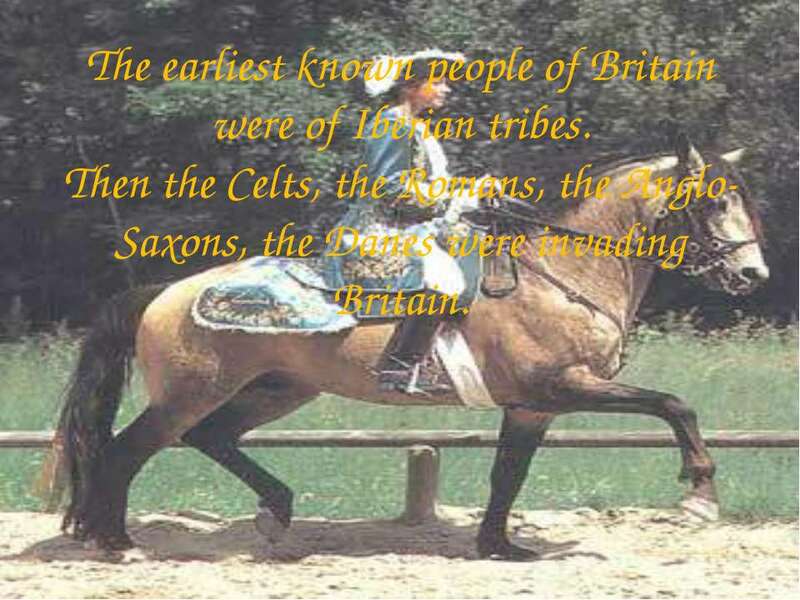 The earliest known people of Britain were of Iberian tribes. Then the Celts, the Romans, the Anglo-Saxons, the Danes were invading Britain. Now there are also many people of all colours and races in the UK. English is the official language of the UK. 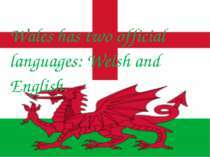 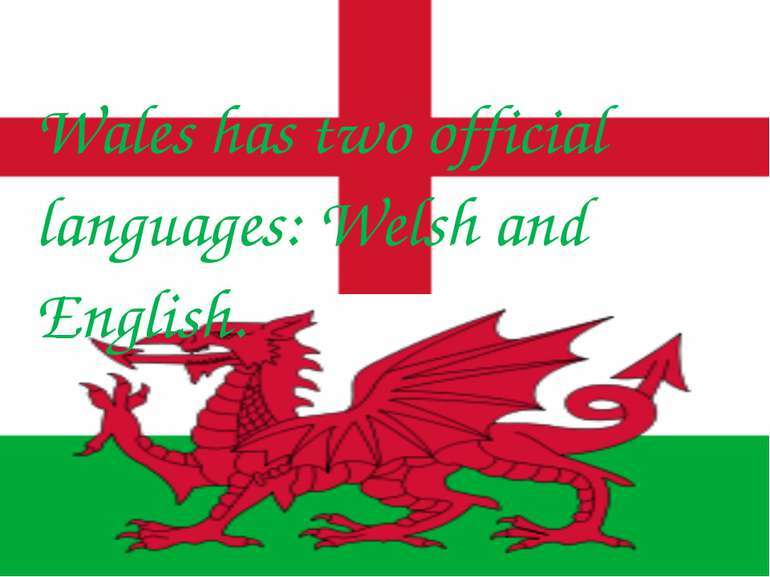 Wales has two official languages: Welsh and English.